Here are three more fine offerings from Carroll the Dumpster Diver, mail artiste extraordinaire. 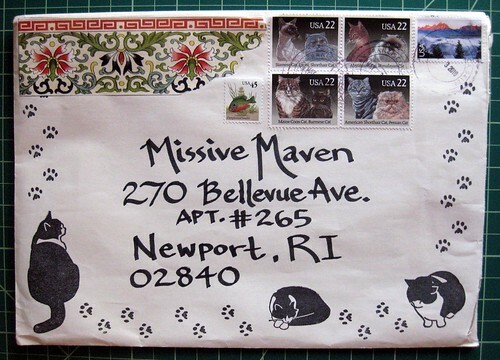 Love the very puffy chubby cat stamps, complete with paw prints. 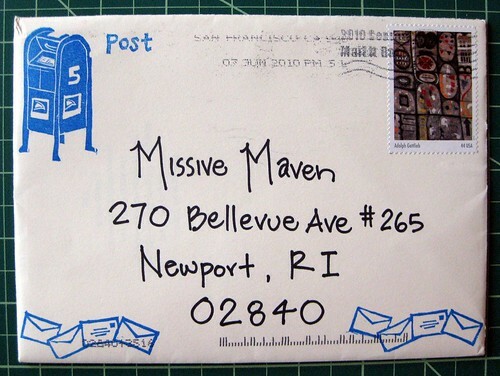 More on this envelope here. 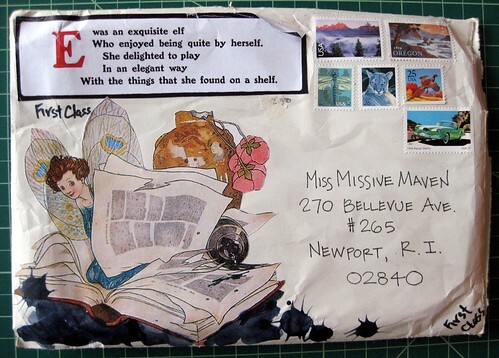 I think I've blogged about these stamps before, she's used them on other items to me. I am absolutely in love with them. Embellished by "a touch of spilled ink"... how can you do better than an artistic elf? Who enjoyed being quite by herself. With the things that she found on a shelf.